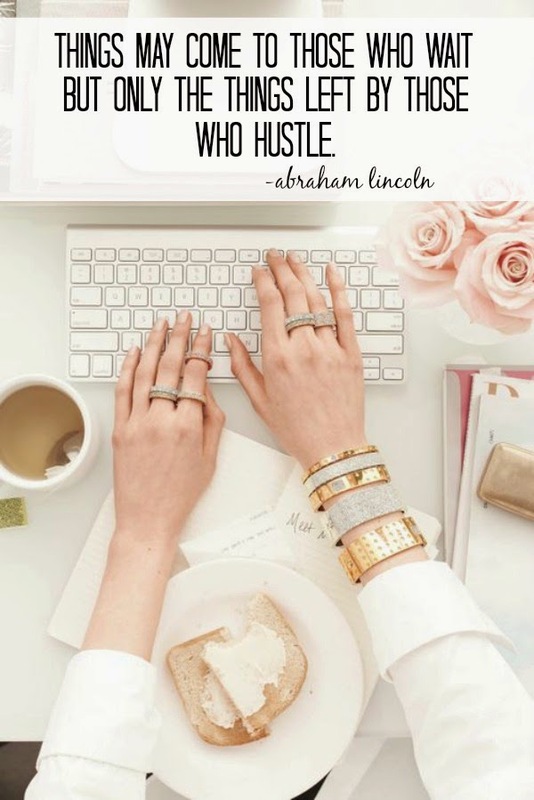 A reminder that after having my routine and work thrown off by the major snow storm last week I need to get myself together and do some serious hustling this week. Here's hoping your work week is going more smoothly than mine. Such gorgeous jewelry babe!!! LOVVVVE those sparkly bracelets! Words to live by, for sure, but man, sometimes I just feel all hustled out and wish I had some snow days! Great quote! Definitely need to hustle now! Have a wonderful week! I love the quote! Preach! Such a great reminder!